moment to moment awareness, a sense that develops over time, and that is key to shifting other patterns in the body, nervous system, and mind. The term and concept of “grounding the femur” was taught to me by my primary teacher, Kim Schwartz, who learned it from Ramanand Patel, a student of BKS Iyengar. I hope you develop awareness of this experiment in hip stability and take it into you day, when you drive, stand in line at the bank, and sit at your workspace. As you play with getting grounded as you move through your life, you will shift away from the habitual/ familiar and into a more free, deliberate, healthy and capable way of being in your body. The ability to experience the following list of actions and releases depend on the femur being grounded. Finding this action alone will not create all the results on this list, such as inner body length, but it is an essential component for these experiences to be successfully explored. -Ability to relax the inner organs. When the inner organs hold habitual tension, the breath is inhibited and circulation through the vital systems decrease. As the visceral body relaxes both circulation and breath become more full, healthy, and effective. -The illio psoas can lengthen, which is key to releasing the kidney area and finding balance in the nervous system. If the psoas is tight, this can “pull” on the kidney area, creating restriction and over-stimulating the adrenal glands. -The neutral curves of the spine are supported. -The angle of the pelvis allows sacrum to sit in a stable position. -The ligaments in the groin area are protected from being over stretched. -The femoral artery, which delivers blood to the lower body, has space; this artery is compressed when the femurs push forward, hardening the groins. Because of this, restless leg syndrome, and issues with numbness and circulation can be assisted by femur grounding. -The sciatic nerve has healthy support and is not compressed. If the femurs are pushed forward, the sacrum is often destabilized, so the periformis tends to grip up in compensation, compressing the sciatic nerve, (one cause of sciatica) which can be painful. –The knees are protected from hyperextension, if the knees tend towards this pattern which is damaging for the knee joint over time. -The bones of the legs transfer weight to the earth effectively, minimizing strain on the joints of the lower body. Femur grounding also helps allow the bones, which are constantly regenerating and reforming themselves, to develop in a healthy, thick, strong form. -Healthy weight distribution in the feet become possible, allowing the heels to bear the weight of the body so that the metatarsals in the feet can broaden and the toes can spread wide, helping avoid or diminish bunions and other issues in the feet. -The lower body is stable so that the spine, shoulders, and neck, and head position can also become grounded, spacious, and at ease. -Access to good organization, pelvic floor strength, and the lift out of gravity required for active inversions like sarvangasnana (“no limbs pose,” or shoulder stand) and sirasasana (headstand) and more complex asanas, such as large backbends like urdva danurasansa (upward bow pose). -We feel supported and centered in the body, which allows us to be more focused, aware, calm, grounded, and available, emotionally and psychologically. and resist the calves forward into the shins as you move the inner head of the femur back. This will deepen the groins, align the leg bones over the center of the heels, and increase lumbar lordosis. Now for the other half of the equation: without pushing the block forward, SQUEEZE the block, like you are trying to crush it. This action should engage the upper thighs, bottom buttocks, and the space between the sitting bones, the lateral pelvic floor. Notice how these combined actions create a strong base from which the spine can rise up out of, particularly in the kidney area. Use this as a reference point for the action in the legs in tadasana, as well as many other poses. Ligaments: Strong, fibrous connective tissues that connect bone to bone. Unlike muscles that engage and release, ligaments should not be stretched out, since they will not “go back.” The ligaments that connect to the head of the femur include the iliofemoral ligaments, which limit hyperextension and lateral/ external rotation, the pubofemoral ligament which limits extension and abduction, and the ischiofemoral ligament which limits extension and medial/ internal rotation. The deeper we can organize the femur on the socket, the more these ligaments can do their job of holding this deeply stable joint in place while supporting healthy range of motion. If the organization is compromised, for instance when flexibility without alignment is forced upon the body, these ligaments become over-lengthened, which strains them and makes their job harder, resulting in various individualized patterns of muscular tightening throughout the hips, including sometimes, in the muscles of the pelvic floor, which can alter the symmetry and stability of the pelvic girdle. 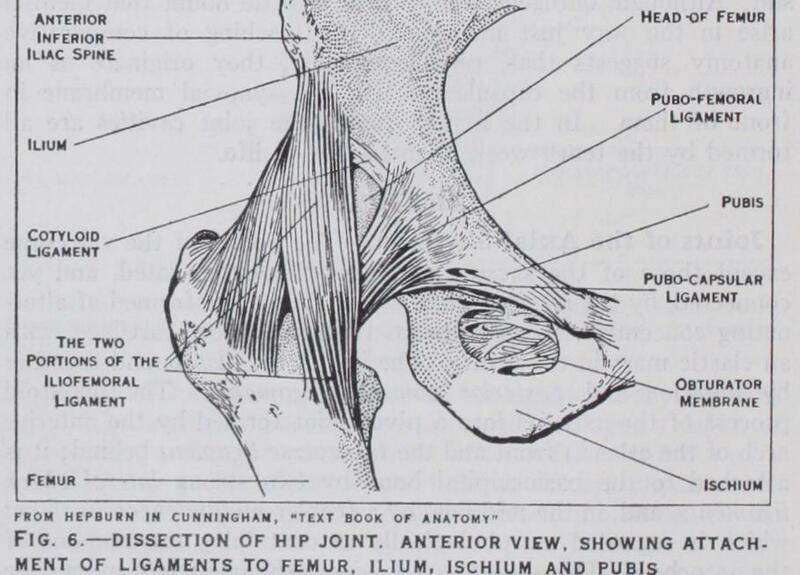 We want to protect the ligaments from getting stretched so that they can do their job of binding the inner head of the femur into that perfectly formed acetabulum, or, inner surface of the hip socket. When they are safe, healthy muscular and joint mobility will increase in a more healthy, effective manner. Groin Depth: Occurs from the femur moving back in the hip socket. Untucking the sitting bones or bringing the pelvis into an anterior tilt doesn’t on it’s own create groin depth, but it is the first step in creating space for groin depth to happen. Emily assisting me in a very grounding version of supta hasta padangustasana. Notice how the femur is becoming more grounded in 2 dimensions, both from the belt creating groin length, and our combined work (her pressing down and my leg bones extending up) is creating groin depth. Lateral Femur Grounding: Once groin depth and length have been established, then containing the outer head of the femur, or greater trochanter, in medially (towards the midline) is an important dimension to explore. Especially if you stand with one hip pushed out the the side, possibly with a toddler sitting on top, you may be able to get a sense of the strain this can put on the hip joint. In standing poses, watch for the front leg, does the hip want to “lean out” beyond where the ankle and knee are? Strong thighs and bottom buttocks help to create containment here, so that the tension of compensating muscles groups can release, supporting healthy range of motion and stability. Adduction: Moves the leg medially, in towards the midline of the body. Abduction: Moves the leg away from the body. The leg can abduct or adduct either in neutral, external, or internal rotation. Flexion: In the spine, flexion means the back of the spine is longer than the front, as in a forward bend. In hip flexion, imagine a tiny spine in the front of your hip joint: the front of the hip joint is very deeply folded. During poses with deep hip flexion, inner body length/ groin length is important. Extension: In the spine, this means the front spine is longer or more open than the back spine, like in a backbend. When we say hip extension, the groin area is lengthening and opening wide. In poses which require this action femur grounding is very important to support the length of the spine. Neutral Spine: The spine is healthiest and has the most length when it has a curvaceous shape. There are 4 parts of the spine: The cervical (neck), thoracic (where the ribs connect), lumbar (lower spine) and the sacral (5 or so fused vertebrae which comprise the sacrum, and the coccyx at the very bottom). The cervical and lumbar regions curve inward, in extension, and the thoracic and sacral areas curve outwards, or in flexion. So, the intervertebral discs have the most space when they are in their curved shape. The amount of curve depends on everyones unique spine. Ideally, we want to cultivate the deepest lumber extension at the base of the L4 L5, (NOT the kidney area which is more common for most folks) and the deepest thoracic flexion at the mid thoracic region, around T6. The curve of the lumbar echos the curve of the cervical: we want T1 deep, and L5 deep. When one is out, the other most likely is compromised. For many bodies, checking to see if L4/L5 area is in is a good sign that the femurs are back in the hip sockets. 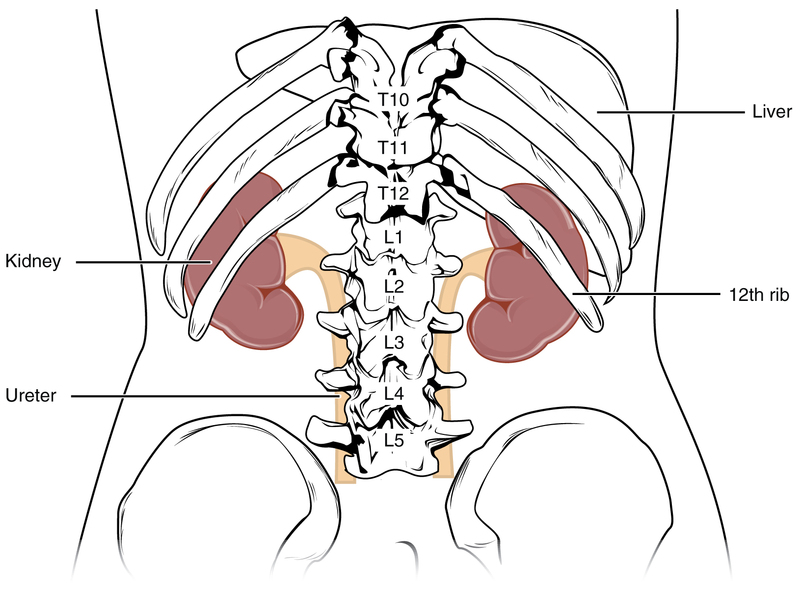 Kidney Area: Describes the physical and energetic area around the T12-L1 juncture, where the fist-sized kidneys are located, tucked up under the back of the lower ribs. 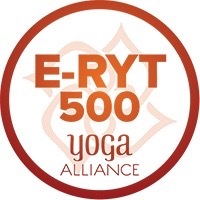 Energetically, this area corresponds to manipura chakra, which mean “city of jewels,” and relates to fire, passion, and willpower, and when tight, can create feelings of force, anger, or aggression, leading to fatigue. Kidney gripping relates to over stimulated adrenal glands, as the adrenals are located as thought “sitting” on top of the kidneys. Asana: A stable, comfortable posture. 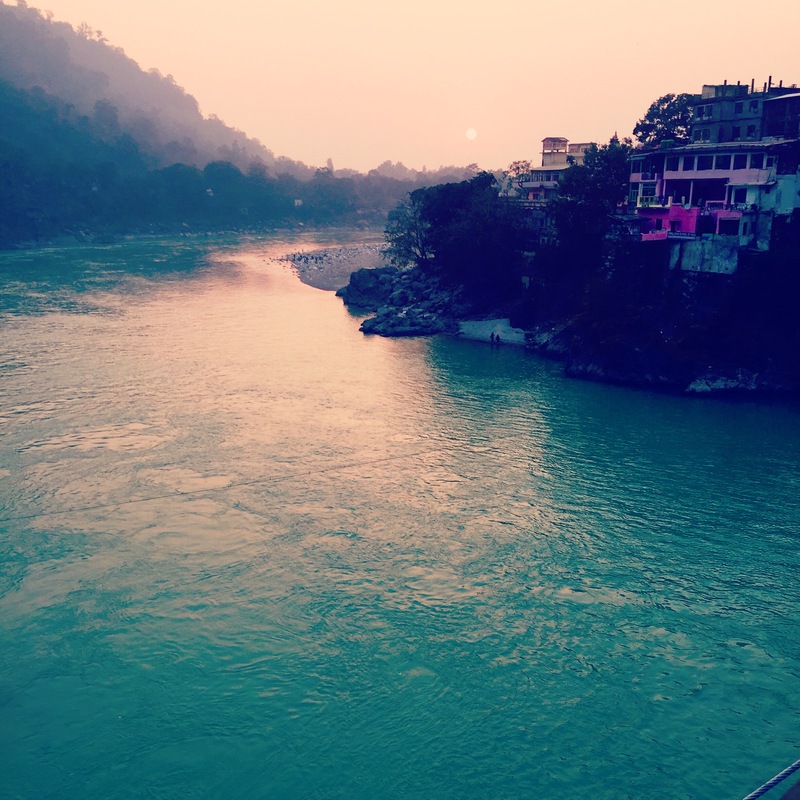 Ayurvedic terms: Dosha: in Ayurvedic medicine, one of the three biological humors or energies (kapha, pitta, vata) which combine in various proportions to determine individual constitution and mental and physical disorders. We can look at many things in terms of the 3 doshas: Body types, weather, areas on the planet, foods, types of yoga practice. In sanskrit: “fault, disease.” Vata: Relates to air/ ether, movement, change. People with high vata are irregular and erratic, with appetite and sexual desire varying between extremes. They sleep lightly, are easily disturbed and prone to insomnia. Their speech and movement is usually fast, and they are talkative and enjoy all forms of communication. Their pulse is fast, weak and irregular. They dislike cold, windy or dry environments and feel chilled quickly or shiver easily. Extremities (hands and feet) are often cold, or become cold easily. Mentally and emotionally they are rapid. They gather information or display emotions quickly, or determine swiftly whether they like or dislike something. While they learn quickly and are usually intellectual, their retention is poor. Money is spent quickly and impulsively. They demonstrate high creativity, innovation and sensitivity. In excess, vata can show up as anxiety, feeling scattered, overwhelmed, spread too thin, indecision, rushing around while exhausted, accidents due to multitasking, exhaustion, constipation… ultimately feeling ungrounded. Poses and practices which ground the femur are very effective for quieting vata, physically, emotionally, and psychologically. I regularly teach an afternoon worlshop on femur grounding. Please see my current listings under the classes and workshops section to view my upcoming classes.